Former Engineering Club President and OCCC graduate Anthony Norton attended the NASA Community College Aerospace Scholars program in the summer of 2015 and October of that year. The program involves a five-week online learning course over the summer for students passionate about space and aerospace. Norton was referred to the NASA program by Engineering Professor Greg Holland. Holland said more OCCC students have become involved in the online portion, and have been accepted for the trip to the Lyndon B. Johnson Space Center. Select participants were invited to workshops at NASA facilities around the nation. Topics for the summer course included Mars missions past, present, and future, as well as discussion of the geology of Mars. Norton attended webinar streams concerning the Mars Rover taught by Dr. Ashwin Vasavada, project scientist for the Jet Propulsion Laboratory at Caltech. Another instructor, Stu McClung, manufacturing and assembly integration lead at Lyndon B. Johnson Space Center, discussed the Orion program, a spacecraft in development. Aaron Herridge, an intern at Johnson Space Center from University of Houston Clear Lake discussed the geology of Mars. Participants responded to essay prompts and had to propose a mission of their own design, with some selected for the additional program in the fall. 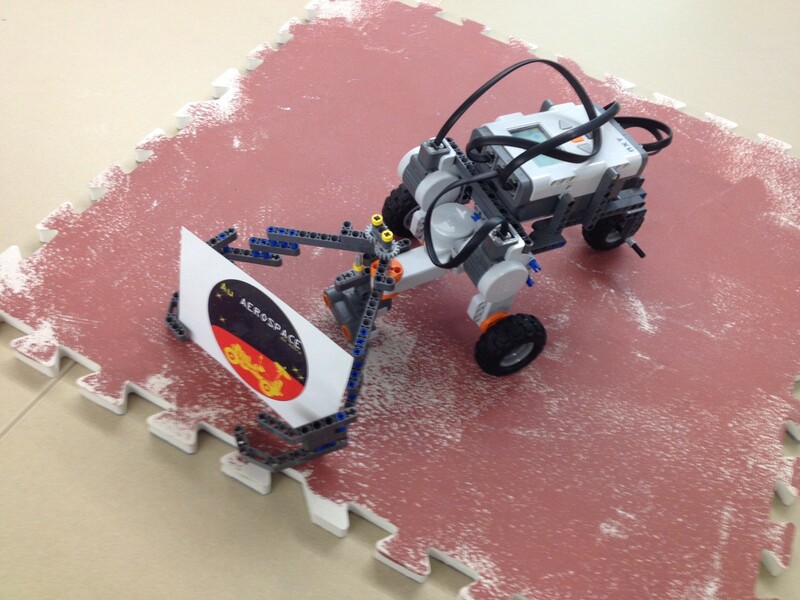 Norton attended a workshop in late October at the Johnson Space Center in Houston where, with actual NASA employees, he designed and built a rover prototype out of Legos, named Goldilox. The selected students were taken on special access tours of the space center. Norton and the group were taken poolside to the neutral buoyancy lab, which simulates a weightless environment for astronauts to train in. They were even taken to a backup control room to watch a mission in progress. Now attending Oklahoma State University College of Engineering in Stillwater, Norton is one year away from completing his bachelor’s degree.